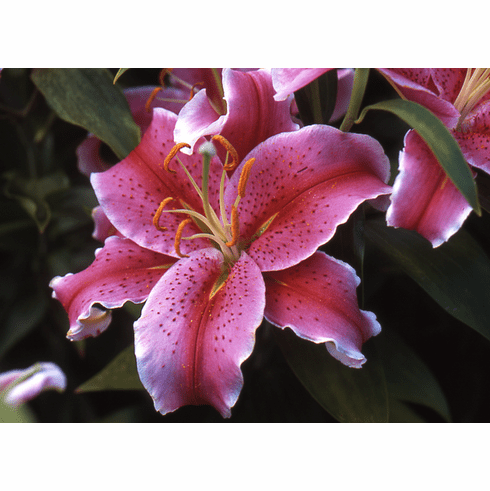 You save $15.24 on quantity of 6 bulbs over �each� price on this variety. Huge light raspberry blooms, with ruby red bands and lighter edges have darker colored speckles for contrast. Stunning for its impressive stature and long-lasting, sweetly scented flowers. We have found 'La Mancha' to be extremely color fast, but as with all pink Orientals planted in regions of high summer temperatures, it should be planted in light afternoon shade for best results. 4 Feet. Late July / Early August.